How does McQueen’s Legacy Live on? At the moment in London, the ghost of Lee Alexander McQueen is everywhere you turn. His name is stamped on posters on the underground; his clothes are in the halls of the V&A; his life and loves are detailed in salacious tell-alls that had publishers issuing apologies before they were even released. His is a presence that is impossible to escape. "His romance, his gothicism, his love of women: these are all tenets of the house that have survived past his explicit direction"
But strip back the sell-out exhibitions and the tomes that mythologise the man himself, and McQueen has one particularly celebrated point of recognition: his fashion shows. Unmatched in their fantastical nature, they are the facet of the house that won an audience outside of the fashion industry, making front-page news and headlines throughout Lee’s reign. Models were elevated into creatures of superhuman power in towering shoes and silhouettes exploded with flowers, feathers, shells. His romance, his gothicism, his love of women: these are all tenets of the house that have survived past his explicit direction. 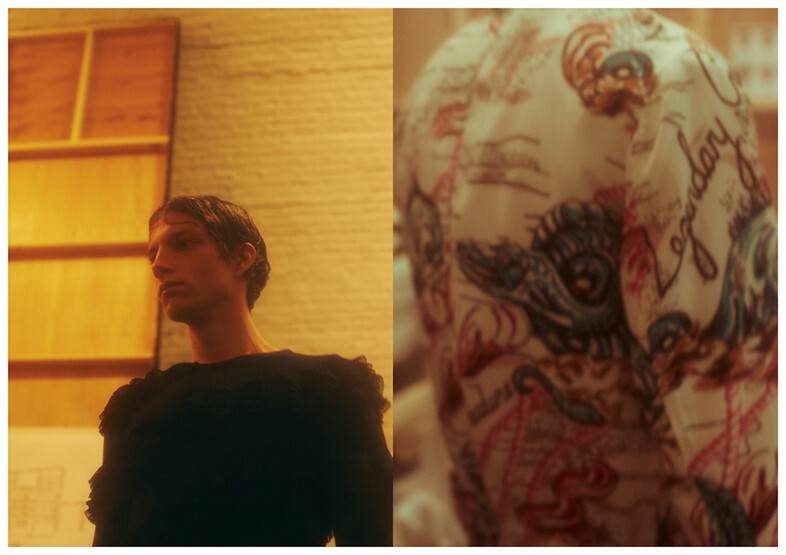 Beneath London railway arches, Alexander McQueen's boys of S/S16 washed ashore. 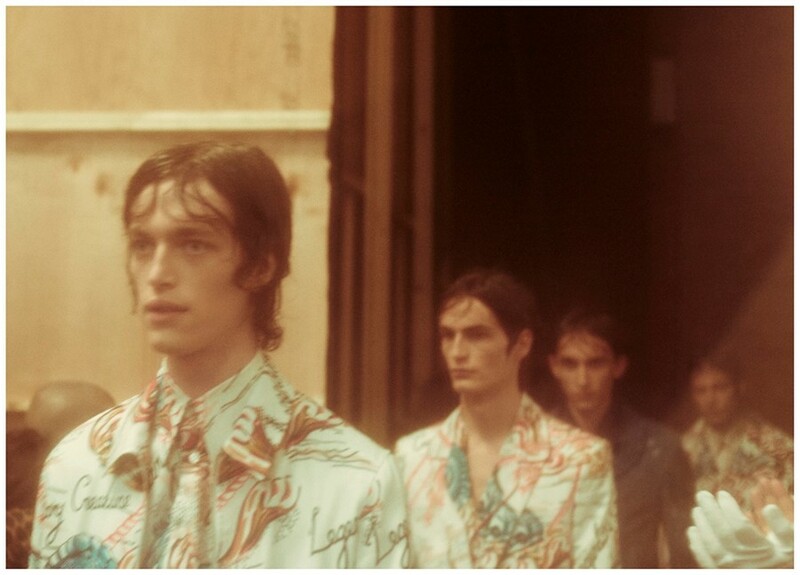 Hair windswept and sticking wetly to their foreheads, they wove their way through the cavernous space in suits and fabrics patterned with mythical sea creatures and Sailor Jerry tattoos. 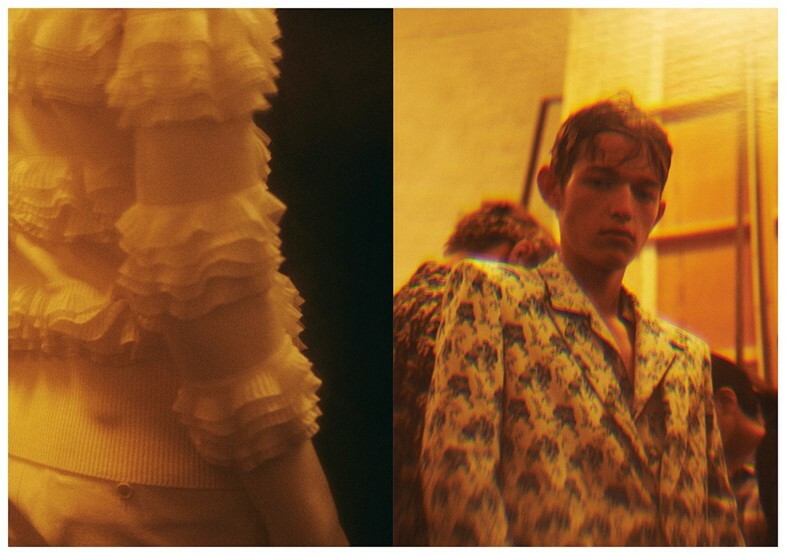 Burton was exploring a new angle of familiar McQueen ground: the natural world was a pillar of his design lexicon, with water forming a part of key runway shows and collections. "Burton was exploring a new angle of familiar McQueen ground: the natural world"
“It's about finding your own identity,” Burton explained of the collection, revealing that she was inspired by “a romantic side of being at sea; the sense of belonging and being lost.” Black and white optical suits with twisting patches of fabric were inspired by dazzle, the technique used to camouflage ships in World War One – as Susannah Frankel explained on the A/W15 womenswear collection, romance is key to both McQueen and Burton’s work, but the latter’s woman is “a quieter figure…any drama ultimately lay in the obsession with intricate workmanship and surface detail." 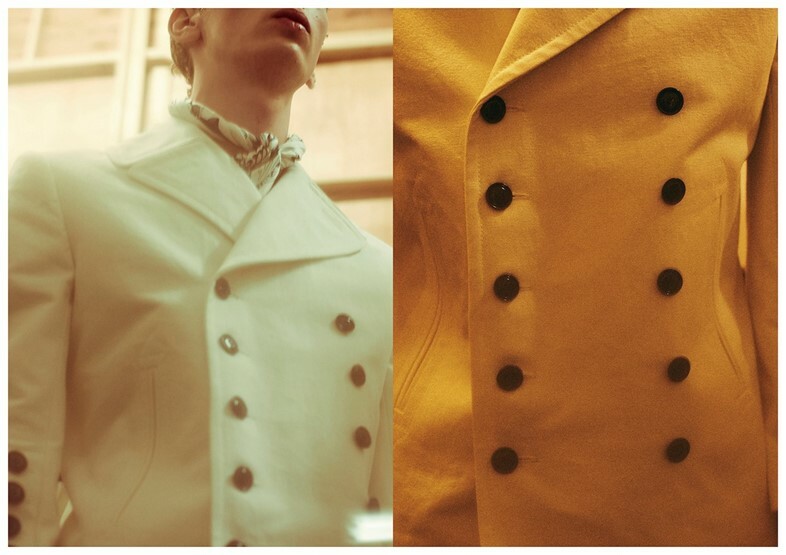 "Tailoring has led the collections of McQueen’s recent menswear, but as with Lee's own work, always done with an edge"
After all, it was McQueen’s start as an apprentice at Savile Row tailor Anderson & Sheppard that began his fashion career and imbued him with the skills that went on to inform his designs. While his menswear didn’t offer the same scope for extravagance as womenswear, it provided an opportunity for McQueen to explicitly practice the tailoring techniques he was trained in, subverting traditional silhouettes. 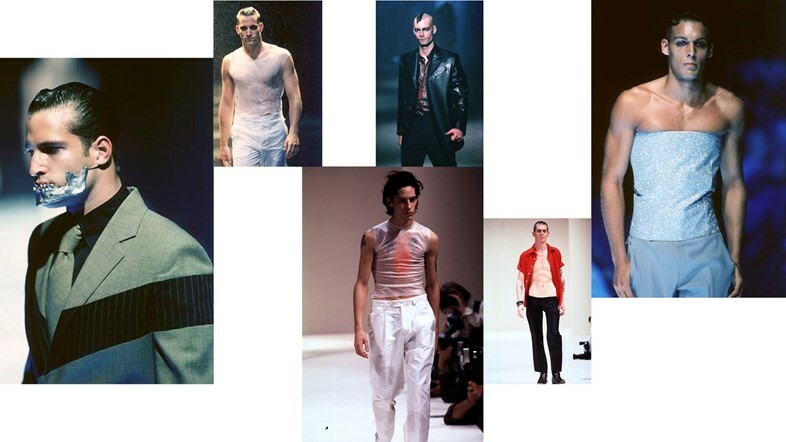 Tailoring has led the collections of McQueen’s recent menswear, but as with Lee's own work, always done with an edge; traditional naval elements like double-breasted were thrown off-kilter, trousers stopped short of the ankles, stripes twisted away from the typical Breton. "Things continue to move forward, and Lee’s legacy remains in every stitch – as it should." 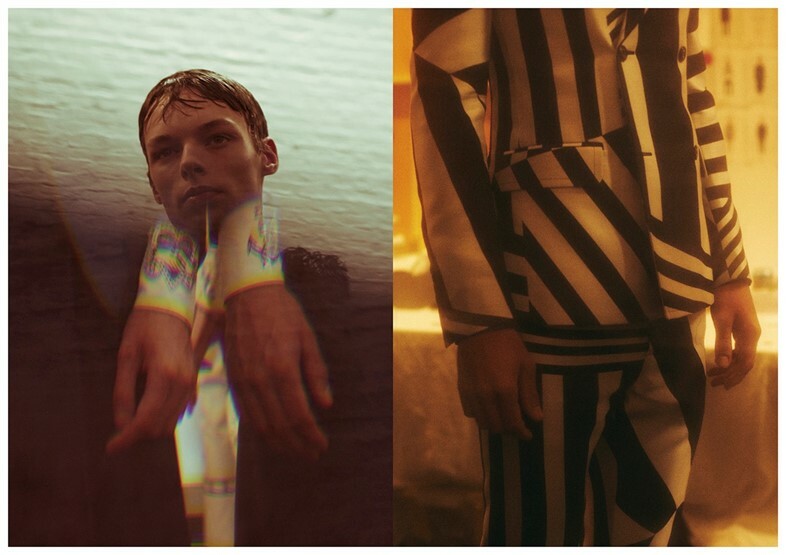 Ultimately, what Burton’s long-standing relationship with Lee McQueen has informed is a nuanced understanding of even his most formative influences. Although not as violently or emphatically dramatic as McQueen’s own creations, what Burton has achieved – not only in this collection but her output for the house as a whole – is keeping the spirit of McQueen alive. Things continue to move forward, and Lee’s legacy remains in every stitch – as it should.